November is Native American Heritage month! To celebrate, we’re heading west, the weird west, every Wednesday. Weird Western Wednesdays are devoted to the wonderful and often wild sub-genre of speculative fiction, weird westerns. Guest authors will contribute a posts discussing weird westerns. Welcome Jason Gilbert to Pulp Reports. Ah, the Weird Western! Not that Westerns, in and of themselves, are boring, but a Weird Western spices things up quite a bit! Whether it’s cowboys versus zombies or aliens mingling with humans in the Oklahoma and Texas territories, Weird Westerns open the door for a ton of possibilities to create diverse, action-packed, and more-than-a-little-strange situations for cowboys and the like. What is a Weird Western? I asked the same question a while back, and the answer I got was, “A western story that has elements of other genres like the supernatural, steampunk, or even science fiction.” It makes it different from other genres because the setting is typically still during the 1800s when Wild West was still a thing, and historical figures can sometimes still play a part in the story. In the case of my series, The Rifle Chronicles, the story is set in a time when industry is encroaching on the Colorado territory, and my characters begin to see the new steam-powered technology become more present in their lives. Even so, they are familiar with airships and steam-powered vehicles and mechanics. But, there is also the supernatural. My main character, Jack “The Rifle” McMurtry, is a witch hunter who has been hired by an Earth Witch as a protector from a male witch trying to become a sorcerer. I typically write horror, urban fantasy, and comedy, but the opportunity to be looked at for an upcoming anthology, Tales from the Weird Wild West, came about and I figured I’d step outside of my comfort zone and try something new. I didn’t make the anthology (maybe next time! ), but I enjoyed the story I’d come up with and decided to roll with it and self-pub it on Amazon. I started the second story and realized that I was having far too much fun to stop! I enjoyed the story, and I love the freedom I have to work with such a flexible genre. I’d never really delved into the Weird Western genre before this year, so I never did really zero in on any one character. I wrote Rifle as the kind of character I’d want to be. He’s a loner, he’s quiet, and he’s got a fair amount of snark to dish out for any situation. He has a strong sense of justice, but he doesn’t see himself as a leader and refuses to do so. He’s also got a strong sense of loyalty and doesn’t mind risking his life for the few friends he keeps around. Weird Western fiction isn’t as well-known as some would think, but better-known than others realize. Many don’t realize that they’ve been watching and reading Weird Westerns for years until it’s brought to their attention. But, it’s undeniable that the genre is in a major upswing. No, I’m not saying we’ll see the return of Firefly; Joss Whedon made it clear that it ain’t happening. But, you’ll start to see the emergence of new Weird Western more and more in different mediums. Film, television, literature, even video games have already started picking up the trend! An interesting question for you anime fans: Is Cowboy Bebop a Weird Western? Well, yes and no. It depends on who you ask. It does follow the formula of a western-style feel and storyline, but it takes place, largely, in space. I would be inclined to say yes because it does have the feel and western-style story, but others would argue that it’s straight science fiction. Having only watched a few episodes, I personally can’t see why someone wouldn’t give it the Weird Western nod. Firefly was a Weird Western very much in the same vein, and people have no problem looking at it as a model Weird Western. But, one could also go as far back as Bravestar, which was a total Weird Western that laid the science fiction on thick. 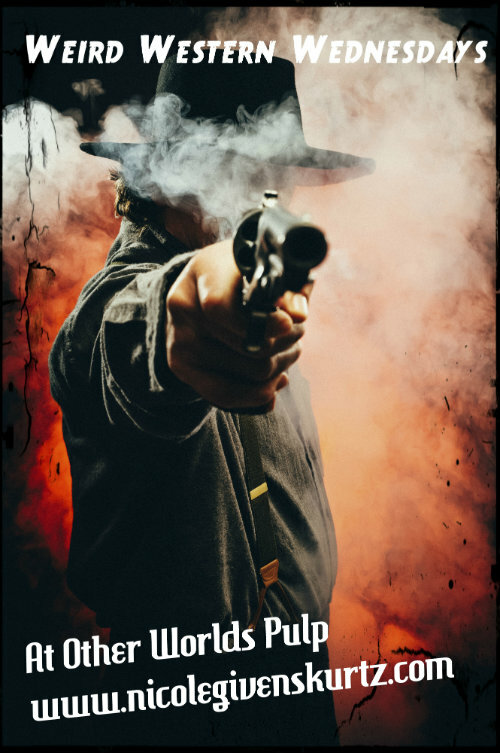 If you want an example of my interpretation of a Weird Western, check out The Rifle Chronicles on Amazon. You can also touch base with me on Twitter (@JasonFailFlix) or on Facebook! Thanks so much to Nicole Kurtz for letting me guest blog, and y’all saddle up for a good time this month!